Always a treat to meet the face behind the name. Dom Bagnato flew into Perth from Melbourne, on Friday. 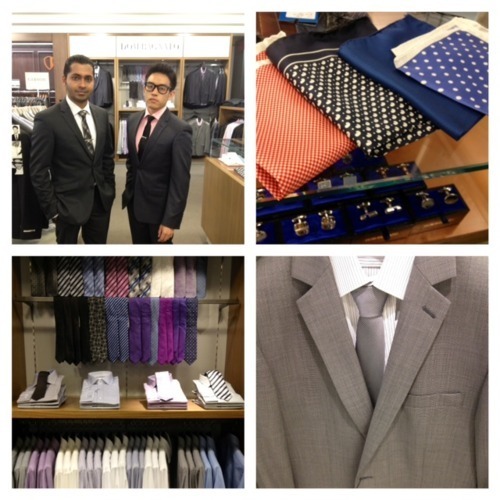 He met the Myer crew and chatted with clients about his up and coming range. Dom knew at 13, he wanted to be a tailor. It’s been his life-long passion. Quality is his main emphasis. He was dressed impeccably in his latest, double-breasted suit (note the pocket square!). We chatted about his three labels at Myer, in particular his exclusive Domingo suit and shirt range. It was great to be able to give Dom some ‘happy customer’ feedback stories. 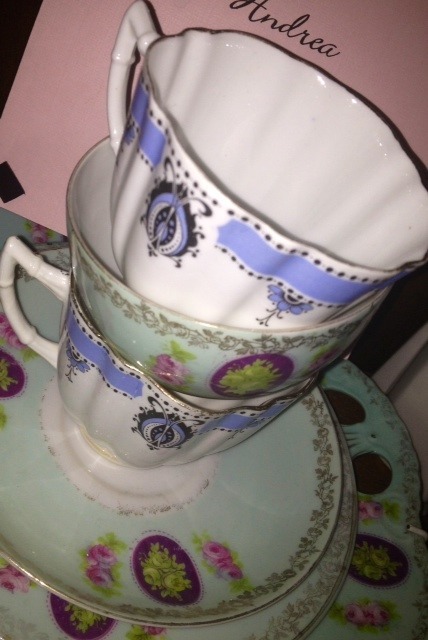 I’m wearing a Liz Davenport, ‘Great Gatsby’ inspired, vintage dress. It was originally a maxi skirt. I added ribbons, buttons and a gold chain belt to transform it into a dress. 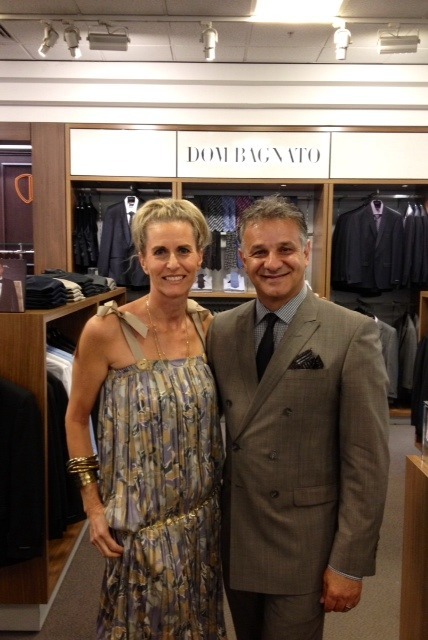 Stylish Sam and Bill (above), are always on hand to help at Dom Bagnato, Myer Perth City store. They’re highly trained and will assist you in selecting from the range pictured above. Later in the day, it was time to style young business man, Alfa. He is currently in the process of doing a complete wardrobe overhaul, so we made a good start. 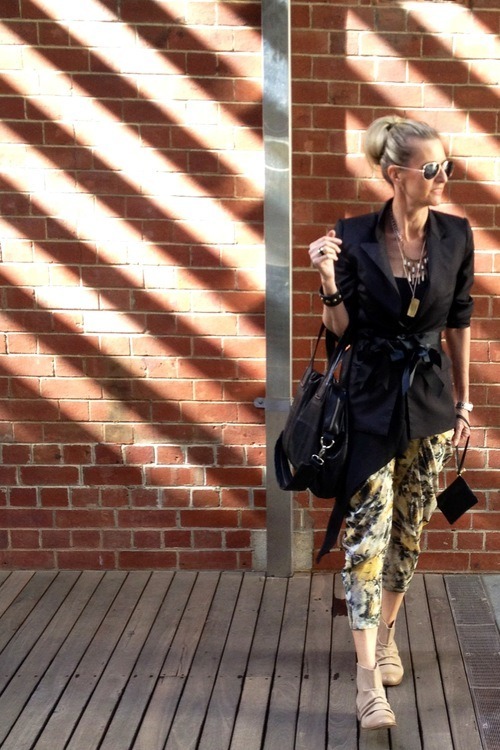 Alfa wanted easy, casual clothes and dressy, weekend wear. He’s pictured above in a mustard Sportscraft, fine V-knit, check shirt and slim fit, navy Country Road chinos. He also selected burgundy and green chinos. 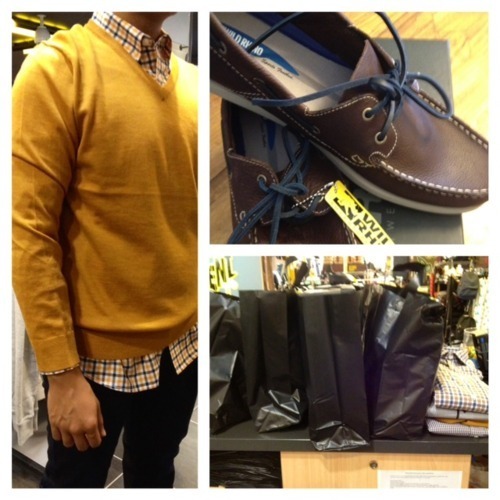 Boat shoes (above) work well with chinos. Alfa now has fabulous trans-seasonal clothes, from Hugo Boss, Rodd & Gunn, Politix, Sportscraft, Country Road and Dangerfield. Cardigans and jackets will be on Alfa’s list for his winter styling session in a few months. Traditionally men’s suits were teamed with plain shirts. Polka dots were saved for ties and pocket squares. 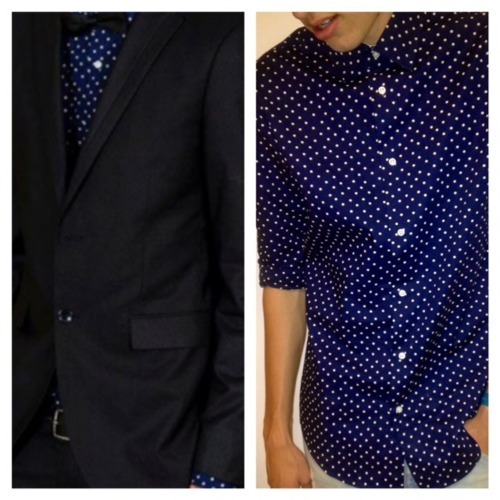 Now, spotty shirts are all the go and can be worn dressed up with a Politix suit and bowtie (above), or dressed down with shorts or chinos. Either way, it’s time for guys to have some clothes fun! !